This old Gibson mandolin had fret work done at one time and the fret board was damaged pretty good…chunks of the ebony were ripped out when the technician was pulling the frets. 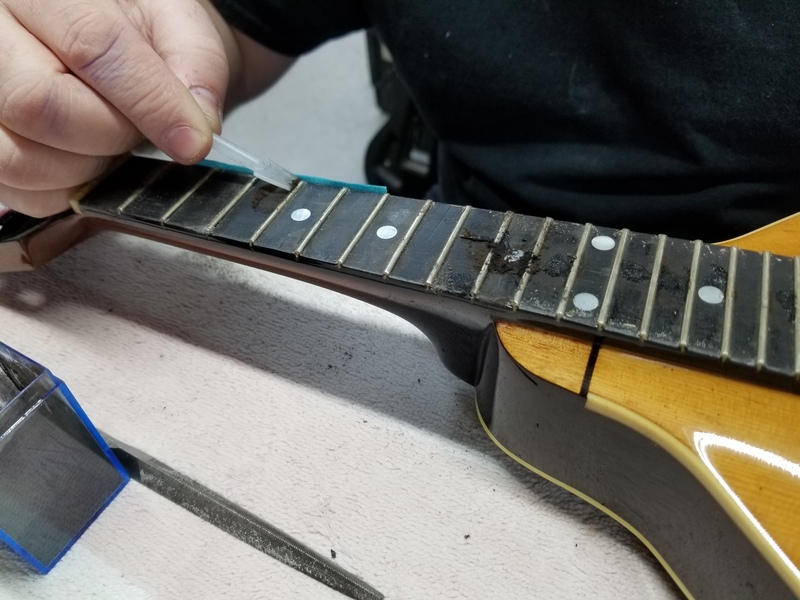 Odds are the technician didn’t use the proper tool that we use to pull the frets, therefor damaging the ebony. Here is a photo of Joel Shinn using ebony dust and a cyanoacrylate glue mix to fill the damage. Then he will file and sand for a perfect result.